This 1935 Salz Brothers Salesman’s Sample Case is the Cathedral Shape, signed on the inside top “Salz Brothers Inc. Manufacturers of Fountain Pens New York.” Measures 4 1’2″ x 9 ½” closed and 9 1/4″ x 9 ½” open. 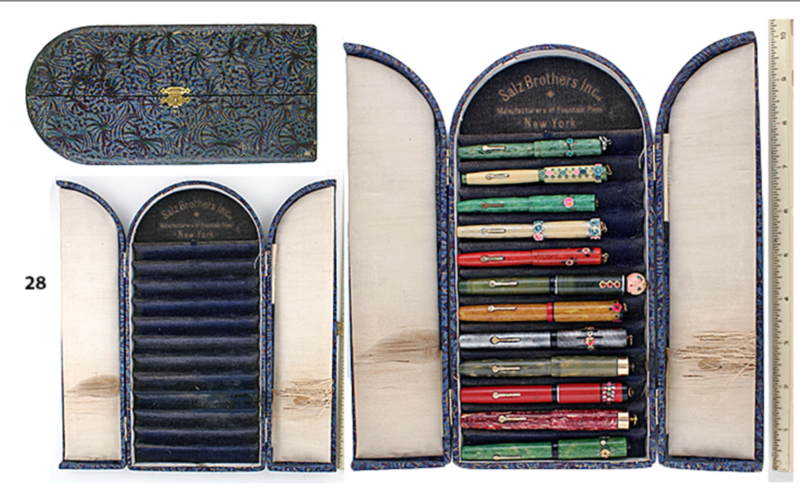 Contains slots for 12 pens (the original pens which were in the case are #s 54 to 65 below). I date the case at around 1935, as it was sized to easily accommodate both the smaller and larger size pens. 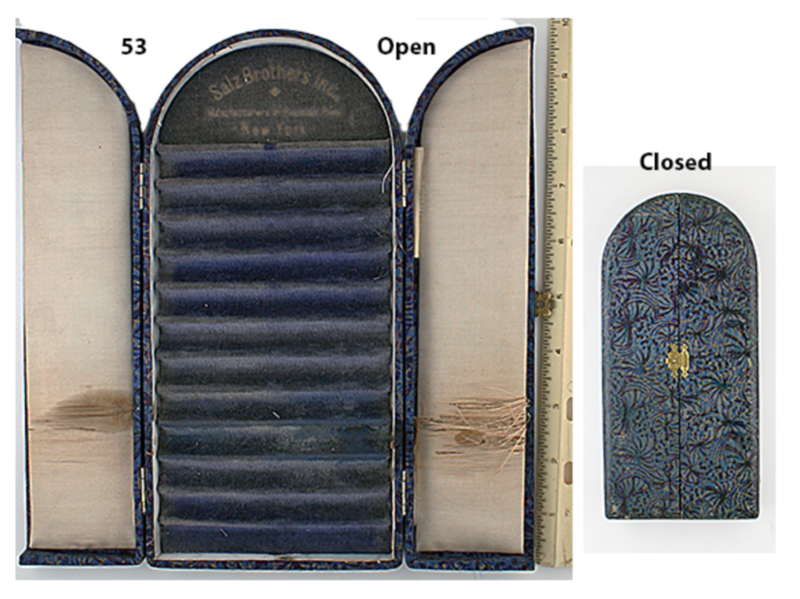 Some of the silk lining on the inner doors is worn and threadbare, otherwise the case is in wonderful condition. Item #53 in Catalog #82.